(Al Hartmann | The Salt Lake Tribune) Eleventh graders make glass slides and count Paramecium through microscopes in biology class on Wednesday, Oct. 26, 2016. Allen took issue with the earth science guidelines that ask students to find evidence that human activity is a contributor to global warming. But that wasn’t all. The information on biology, she suggested, will also provide too secular a view of the world where evolution is presented as fact and the Bible is ignored. Almost all of the dozen people who filled the seats around her nodded their heads in agreement. A lot of the ideas, one geologist added, are based on data manipulation to support a liberal, “politically driven agenda.” A dad said he doesn’t want his kids to be taught the big-bang theory. A mom was opposed to the phrases “climate change” or “renewable energy” being included anywhere in the material and criticized the recent climate march by students at the Capitol. Even though the hearing was held in Salt Lake City, generally a bluer part of Utah, much of the concerns were still over what students would learn about global warming and evolution — both a flashpoint in this conservative state. Lonnie Winn, an Ogden business owner, said he and his wife had been homeschooling their children until they recently re-enrolled them in the public education system. He’s questioned that decision since his daughter came home from her seventh grade classes this year and told him she’d learned in science that the DNA of humans and chimpanzees is 99 percent similar. He’d like to see the standards rewritten to include the possibility of more perspectives on different issues, including evolution and theories on the creation of the solar system and life on Earth. Vincent Newmeyer, a member of the standards review committee both then and now, said “none of my suggestions [was] incorporated.” He challenged that Darwin’s theories are presented without any critical analysis when the fossil records look different, according to some research. School board leaders have emphasized that the draft science standards are only preliminary and will be subject to further review. The 2020-2021 school year is the soonest they would be put in place. “We want to hear what you like, as well as what you don’t like,” said Ricky Scott, a science specialist with the Utah Office of Education, who ran the meeting. Since the guidelines were released, the National Center for Science Education has stepped in, too, with an advertisement campaign to encourage parents to comment on “good science” and “insist on the importance of evolution, climate science and the nature of science in Utah science education.” But much of that hasn’t been heard at the public debates (though individuals can also submit comments to a survey for the state board to review at www.surveymonkey.com/r/UTSEEd90DayReview). Utah schools already teach about climate change and evolution, Scott has said, and the majority of the proposed updates are minor. The new standards actually mention “evolution” four times fewer than the previous version. The biggest changes are to how the state wants science to be taught. Teachers are asked to switch from having students memorize and recite facts to instructing them to think critically and experiment. Additionally, engineering will be included as a large focus for the first time in elementary and high schools. For kindergarten through second grade, there will be extra lessons on pollination and how sunlight affects Earth. Third through fifth grade will see more information on protecting natural resources and the principles of magnetism. High school students have four sections of study: biology, chemistry, physics, and earth and space science. Changes include adding more standards for geology and genetic engineering. Frank Strickland, a Utah geologist, said about 95 percent of the material is fine, but the rest is “being used to indoctrinate students in an unscientific way.” He worries the subjects of evolution and climate are being taught with emotionally-charged words and skewed numbers so no one will dispute them. “It’s downright fraudulent,” he said. When the middle school standards were debated four years ago, he similarly criticized the drafts for their lessons on global warming and the impact of humans. He said many scientists believe a fluctuation in global temperatures could be the result of solar flares. 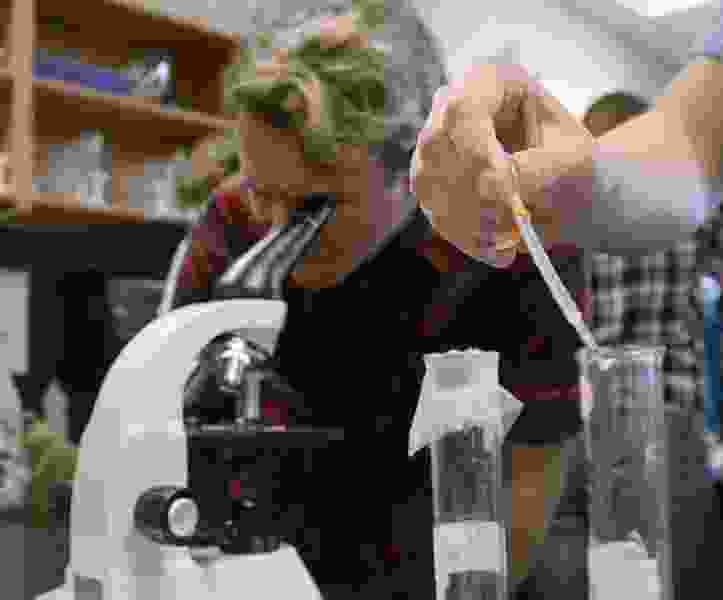 Others at the meeting Tuesday said they were worried the science taught in public schools would leave students ill-prepared for college. And many had issues with current science being updated all the time — but with no mechanism to quickly include that in the teaching standards. The review period to comment on the science guidelines ends April 10.